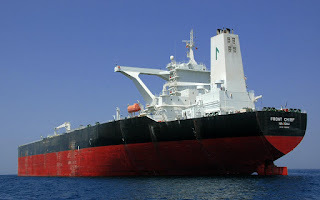 Mr. David Ameble, Chief Executive Officer of the award-winning bunkering firm, Inter Maritime Services Limited, has disclosed to B&FT that it is high time appropriate authorities step in to regularise the bunkering business environment to push out fake operators. According to Ameble, the country’s bunkering sector needs support from Government to stay in business while current players need to operate in a well-formed structure. With his experience in the industry, Mr. Ameble implored vessel owners to establish confidence in a country’s bunkering services delivery before sailing to that destination. “Most ships upon discharging cargo to the two ports in the country -- Tema and Takoradi -- sail to South Africa to bunker,” he revealed. He also pointed out that, occasionally, foreign vessels bring down their bunkering ships to our territorial waters to refuel the vessels because of no confidence in the country’s services. This move, he said, deprives the nation of taxes which otherwise would have gone to Ghana Ports and Harbours Authority. The latest Bunker publication by Matrix Maritime Media has revealed that for the second quarter of 2013, over 500 companies were engaged in bunkering services globally. The publication also disclosed that Germany and the Netherlands topped the world with 26 and 21 firms respectively. A breakdown from continents disclosed that Africa had the lowest number of bunkering companies, Nigeria and South Africa dominating with 13 and 11 companies respectively. According to the report, three companies deeply engaged in the bunkering business in Ghana are Inter Maritime services, Omar Oil and Jedtech Limited. All these companies operate from Tema and are members of the World Bunkering Association.